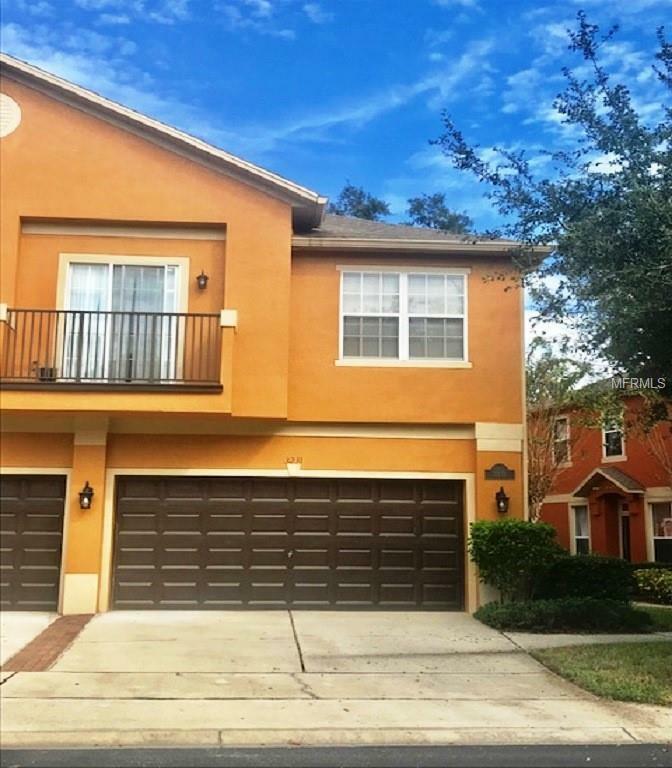 You will fall in love with this large town home overlooking a beautiful lake!! Neutral colors abound in this home and guess what the HOA FEE INCLUDES BASIC CABLE & grounds maintenance!! Immediately upon entering, you will notice the gorgeous WOOD TILE FLOORING, perfectly appointed dining room area and a beautiful built in arched area for your tv/entertainment. The kitchen features Granite, Stainless Steel Appliances, a Breakfast Bar and large Pantry. The downstairs 1/2 bath is convenient for guests and has tons of storage too. Youll appreciate the large INSIDE LAUNDRY ROOM too! Continue up the winding stairs to three bedrooms all with high ceilings & ceiling fans. The HUGE master bedroom awaits you with a full sitting area, large private bath with dual sinks, oversized soaking tub and good size walk in closet too. The private walkway leading up to the front door adds extra privacy to this home and the attached two car garage makes bringing in groceries in the rain a thing of the past. This gated community has a community pool, playground and a lovely walking path by the lake. Live the maintenance free lifestyle with the community grounds manicured by the HOA and again, those fees also INCLUDES BASIC CABLE!! Close to highway 417, shops, restaurants and not far from Sanford Town Center you will love the location of this home !!! Zoned for highly rated Seminole county schools too Dont Miss This Home!!! Listing provided courtesy of Metro Realty Group Llc.